Are you working on a new mobile app? Then you may need to design the app’s UI element which is kind of a hectic task. However, a free mobile UI PSD kit can be quite helpful to start working on your app. Hence, today we bring you an awesome UI designs in PSD format which is going to make that lasting impression. Today’s tech savvy students can now keep a track of and manage their classes, lectures, homework, etc. through an innovative time table app. 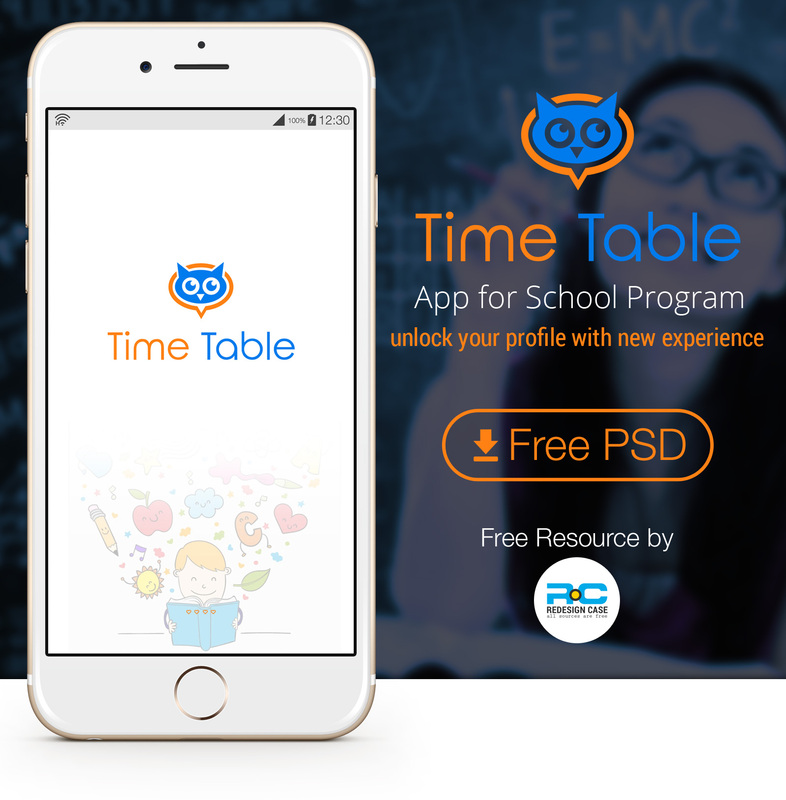 Thanks to the PSD based mobile UI kit which enables a person to create any kind of timetable app, be it for school, college, or anything that requires you to keep up with a schedule. you can now design different types of apps for students or for yourself as per the needs, Here is a nicely design UI kit for School Time Table, created by Redesign Case with plenty of attractive background and design styles. It offers you with a number of tools and features so that you can create a smooth user interface and add options of your choice in the app. You can make it as unique and friendly as possible depending on your needs. Explore your design idea and create the next UI project with this UI kit. We do request our PSD downloaders to use the files responsibly in accordance with the respective license policies.